Huang Hai-Hsin's works explore images indicative of contemporary life, particularly banal everyday life scenes that reveal an ambiguous atmosphere between humor and horror. She takes inspiration from ordinary family photos, tourists at attractions sites, people-watching at museums and the routine disaster drills. In her work, most aspects of life have the potential to be ridiculous, absurd, awkward, funny and meaningless all at once. In Huang's work irony, sarcasm, and wit mix with an attention to detail that allows Huang's aesthetic to transform the humble into something extraordinary, the trivial into something funny, and the embarrassing into a thing of wonder. This process invites each viewer to cast doubt on authority and the standardization of taste. Huang Hai-Hsin was born in Taipei in 1984 and received her BA degree from National Taipei University of Education in 2007. In 2009 she received a MFA from The School of Visual Arts in New York. She currently lives and works in Brooklyn, New York. Huang has held solo shows at Capsule Shanghai (Shanghai, China), the Museum der bildende Künste (Leipzig, Germany), Gallery 456 (New York, USA), and the ISE Cultural Foundation (New York, USA). Her work was presented in group shows at the Mori Art Museum (Tokyo, Japan), the Seoul Museum (Seoul, South Korea), the Herzliya Museum of Contemporary Art (Herzliya, Israel), the Kyoto Cultural Center (Kyoto, Japan), the Kuandu Museum of Fine Arts (Taipei, Taiwan), the Herbert F. Johnson Museumof Art (Ithaca, USA). 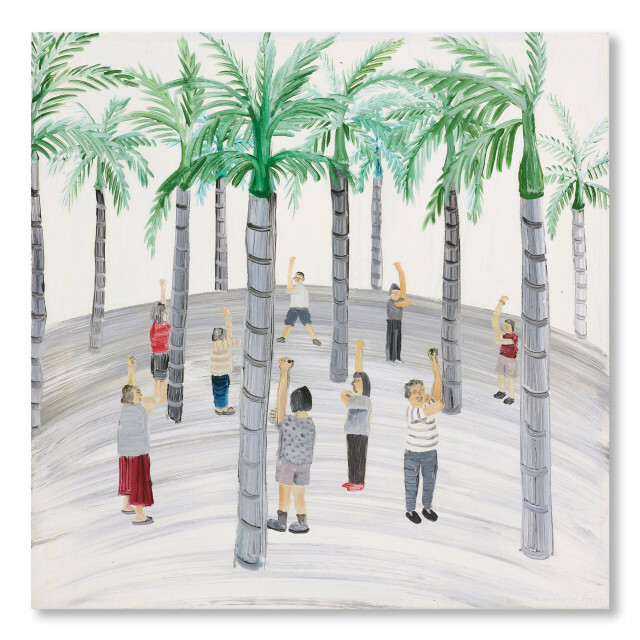 Huang's work has been collected by multiple private and public collections, including the YAGEO Foundation (Taipei, Taiwan), the White Rabbit Collection (Sydney, Australia), the Taipei Fine Arts Museum (Taipei, Taiwan) and the National Taiwan Museum (Taichung, Taiwan). She recently was artist in residence at the PILOTENKUECHE (Leipzig, Germany). Her solo project "Art Basel" is presented at Art Basel Hong Kong 2019 by Capsule Shanghai.